CHICAGO--(BUSINESS WIRE)--The National Marine Manufacturers Association (NMMA), representing the nation’s recreational boat, engine and marine accessory manufacturers, announced today that retail unit sales of new powerboats were up an estimated 4 percent in 2018 to approximately 280,000 units, the highest total since 2007. The outlook for 2019 remains positive with continued growth expected to bring a 3-4 percent increase in new powerboat retail sales. As one of the country’s growing outdoor recreation activities, NMMA also announced that the recreational boating industry contributes an estimated $170.3 billion in economic activity to the U.S. economy, an increase of approximately $49 billion since the last time the association reported economic impact in 20121. Sales of new freshwater fishing boats are estimated to be up 2-4 percent to 75,000 units in 2018; fishing is the most popular activity done aboard a boat. New personal watercraft sales are estimated to be up 6-8 percent to 68,000 units in 2018; with accessible entry-level price points, personal watercraft are often considered a gateway to boat ownership. 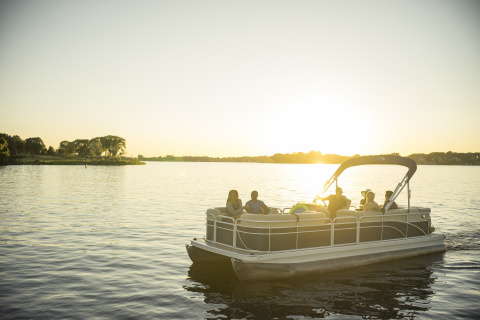 New pontoon sales are estimated to be up 4-6 percent to 58,000 units in 2018; the versatility of the latest pontoons offers an all-in-one experience from fishing to cruising to watersports. Sales of new wakesport boats—popular for wakesurfing and wakeboarding and attractive to new and younger boaters—are estimated to be up 9-11 percent to 10,000 units in 2018. New cruiser sales—boats between 22 and 32 feet, popular for relaxing, entertaining and ‘cruising’—are estimated to be up 2-4 percent to 9,000 units in 2018. With recreational boating contributing an estimated $170.3 billion to the U.S. economy (which includes direct, indirect and induced output generated by marine manufacturers (boat, engine, and accessory); their suppliers, dealers and retailers; services such as repairs and marinas; boating activities and trips; and, business tax revenue), NMMA reports that combined activity supports an estimated 35,000 marine businesses and 691,000 direct and indirect American jobs. 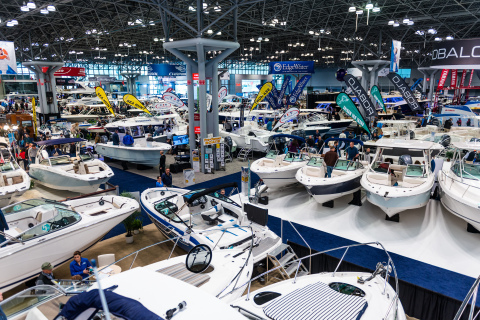 Given the health of the industry, U.S. boat manufacturers and dealers are preparing for a solid winter boat show season around the country – a critical selling period. Beyond being an important marketing venue where manufacturers introduce their latest products, boat shows are where consumers come to buy. In fact, boat shows can generate as much as 50 percent of annual sales for exhibiting dealers and manufacturers. Shoppers at a boat show can expect to find some of the best deals of the year with the convenience of comparing different boat models, and different dealers, in one location. For a further look at the state of the U.S. recreational boating industry, below are key statistics that provide insights on the industry’s size, make-up and demographics. Annual U.S. sales of boats, marine products and services are estimated to total $41 billion in 2018, an increase of 5 percent from 2017. There were approximately 280,000 new powerboats sold in 2018, an increase of 4 percent from 2017. Recreational boats are uniquely American made with 95 percent of the boats sold in the U.S, made in the U.S.
It’s not just new boats Americans are buying; there were an estimated 998,000 pre-owned boats (powerboats, personal watercraft, and sailboats) also sold in 2018, the highest pre-owned boat unit sales since 2006, totaling an estimated $9.7 billion in sales, an increase of 2 percent from 2017. There were an estimated 12 million registered/documented boats in the U.S. in 2018. Ninety-five percent of boats on the water (powerboats, personal watercraft, and sailboats) in the U.S. are small in size, measuring less than 26 feet in length—boats that can be trailered by a vehicle to local waterways. Sixty-two percent of boat owners have a household income less than $100,000. 1 This figure includes $20.5 billion of business tax revenue, which was not included in the NMMA’s 2012 economic impact study. The U.S. recreational boating industry saw its seventh consecutive year of growth in 2018 and expects an additional retail sales increase in 2019.